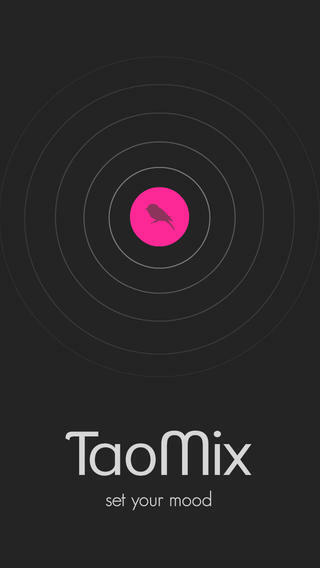 TaoMix is an iPhone app developed bySebastien Mourey. 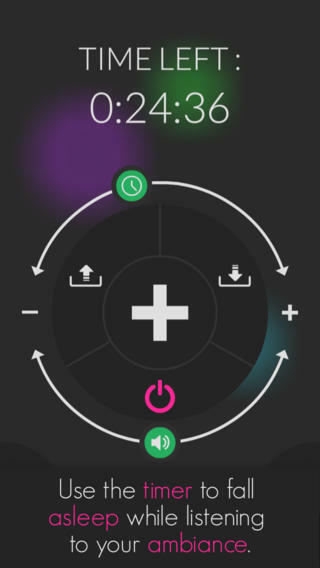 Boasting a stunning minimalist design and a wide array of sounds to sample, TaoMix is an app that lets you create customized ambient noisescapes. These ambient tracks are the perfect background sound for yoga, meditation, relaxation, or sleeping. Creating a TaoMix track is very simple. All you need to do is select one or more tracks from the list. There are weather noises, animal noises, chimes, ocean waves, and white noise. After you’ve selected the various sounds that you find most soothing, you can adjust which noises are the most prominent in the overall mix. To do this, you simply move the white cursor icon into proximity of one of the sound icons. It’s an incredibly intuitive way to customize your audio mix, and this is a great feature for people who want to make subtle changes to the mix as their meditation or workout progresses. The controls are just one part of what makes this interface so spectacular. The overall look of the interface is very sleek and clean, but with plenty of color to keep things from getting too monochromatic. The icons are simply gorgeous. Users can save and retrieve their creations with ease. 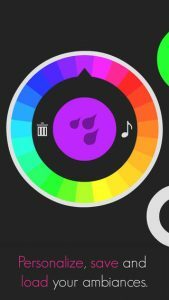 The audio keeps playing while you use other apps, or when your screen is turned off. While there is no time limit, you can only mix 3 relaxing sounds together. 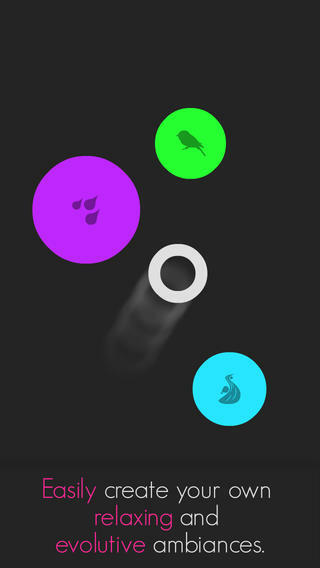 To mix up to 10 sounds together (and unlock additional sounds), you must unlock the full version from within the app interface. This app is easy on the eyes, easy on the ears, and easy on your budget. 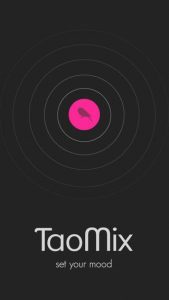 TaoMix is a beautiful app that is well worth checking out if you like yoga, meditation, or just need some chill sounds to lower your stress levels at work. Want more? Check out this video on YouTube! TaoMixrequires iOS 4.3 or later. Compatible with iPhone, iPad, and iPod touch. This app is optimized for iPhone 5.